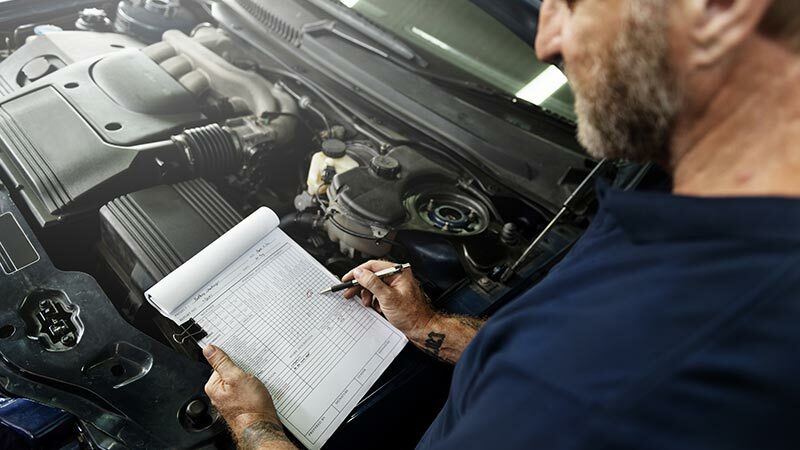 How Much does a Roadworthy Inspection Cost? Roadworthy Inspections are the Federal Government's way of ensuring your vehicle meets minimum safety requirements. However, each state and territory has their own names and regulations for when you may need a roadworthy inspection. The cost of a Roadworthy Inspection can vary depending on which state or territory you’re in and what level of inspection you need. After a roadworthy or safety certificate? Get an instant quote with Australia’s largest network of mechanics! Each state and territory in Australia has different requirements for why you may need to obtain a Roadworthy Inspection, but what are they? Let’s break it down. Roadworthy Inspections in NSW can get a little confusing. There are 2 different types of inspections, a Safety Check Certificate (Pink Slip) which is needed when renewing a registration (every 12 months), or an Authorised Unregistered Vehicle Inspection Scheme (AUVIS) inspection (Blue slip), which is needed if a vehicle is not registered in NSW, the registration has expired or been cancelled. We’ve broken down each certificate that may be relevant to you when trying to register or renew a registration in NSW. Your registration renewal notice will state whether or not you will need a safety check, except in the case of some point to point transport vehicles (taxi and hire vehicles). Safety Checks can only be performed at an Authorised Inspection Scheme station. The results of your safety check will be sent electronically to Roads and Maritime which will allow you to renew your registration online. Light vehicle safety check inspection reports are only valid for six months. This means you’ll have 6 months from the safety check date to renew your registration. You’ll be looking at around $40 (inc GST) for a Safety Check Certificate. If a vehicle does not pass the check, the registration cannot be renewed until the required repairs have been completed. For more information on renewing your registration, click here. This inspection can also be called a Safety and Identity check. If a vehicle is not registered in NSW or the registration is expired or cancelled, you must have an Authorised Unregistered Vehicle Inspection Scheme (AUVIS) inspection before it can be registered. This type of inspection report is only valid for 42 days from the date of the inspection. For a light vehicle Safety and Identity Check, you’ll be looking at around $64 (inc GST). If a vehicle has been deemed a repairable write-off, before registering the vehicle you will need to obtain a repairs required report. The point of this report is to outline all the repairs that will need to be carried out before the vehicle can be registered. To book a Vehicle Identification and Inspection Unit (VIIU) for your vehicle, you’ll need to budget $68 for the booking fee and $436 for the inspection fee - this is only for the first inspection. To register a vehicle in NSW you MUST have Compulsory third party insurance (CTP), also known as a Green Slip. This covers you if other people are injured in a crash if you or the other person driving is at fault. For more information on renewing your registration or the costs involved, check out the NSW government website. In Queensland, a roadworthy inspection is called a ‘Safety Certificate’. They used to be called a Roadworthy Certificate or a Blue Slip, due to the piece of paper being blue. Over the last year, the QLD government have been slowly phasing out hand-written safety certificates and introducing an electronic version. If you need a safety certificate for an unregistered vehicle, you can actually drive the vehicle unregistered to the appointment, under specific requirements. If your vehicle doesn't pass the safety certificate check, you’re able to get an unregistered permit to drive your vehicle to a mechanic to be fixed, or you’ll have to get it towed. Safety Certificate Inspections fees in Queensland are set by the government, which means they do not vary. For motor vehicles up to 4,500kg GVM (gross vehicle mass) it will cost $80.05. Trailers over 750kg up to 3,500kg pay $40.05 fee and motorcycles pay $51.40. For more information about Queensland, Safety Certificates, click here. In some cases, vehicles are exempt from requiring a Certificate of Roadworthiness. Only a licensed vehicle tester is able to issue a Certificate of Roadworthiness. If a certificate was obtained to register or transfer a vehicle, you only have 30 days from the issuing date to update the details. If a vehicle fails the test, you only have 7 days to repair or replace the rejected items outlined in the report. If it takes more than 7 days to fix the vehicle, a full inspection will be required again. The price of a Roadworthiness Certificate can vary depending on the age, type and condition of a vehicle. For more information about this certificate, click here. Roadworthy Inspections in South Australia are a lot more relaxed compared to other states and territories. When registering a vehicle, the only time a vehicle will need a roadworthy inspection if a vehicle has been modified, written-off or defected. Is a heavy vehicle or trailer with a Gross Vehicle Mass (GVM) or Aggregate Trailer Mass (ATM) of more than 4.5 tonnes and three years of age or over from the date of manufacture, being transferred to a new owner for registration in South Australia. A $24 booking fee is required for all inspections, with some exemptions. Click here for a roadworthy inspection cost breakdown or for more information about Roadworthy Inspections visit the South Australian Government website. Also, if your vehicle has been issued with a defect notice or has been deemed unroadworthy, your vehicle will need to have a Roadworthy inspection. Currently, the Tasmanian Automobile Chamber of Commerce (TACC) is lobbying for mandatory Roadworthy Inspections on the transfer of ownership for vehicles over 5 years old with the support of the Tasmanian Council for social service. The Tasmanian Government have a handy checklist to ensure your vehicle stays Roadworthy. If a vehicle passes the Roadworthy Inspection, the certificate is only valid for 30 days from the date it was issued. You must book the Roadworthy inspection at the Access Canberra Motor Vehicle Inspection Station at Hume and NOT an Authorised Inspection Station. To find out more about booking an inspection at Access Canberra Motor Vehicle Inspection Station click here. You want to license (register) your vehicle in Western Australia. The only vehicles that require annual inspection are buses, taxis and other vehicles like driving instructor vehicles. A letter will be sent to the registered address of the vehicle informing you of the annual examination. If your vehicle is temporarily unregistered, you will need a Temporary Movement Permit to drive the vehicle to the chosen examination location, which can be purchased online. If your vehicle is a personal import, it can only be inspected at a DVS Vehicle Examination Centre and cannot be inspected at an Approved Inspection Station (AIS). Depending if you’re located Metro WA or Regional WA, examination fees and opening hours may vary. Roadworthy Inspections in the NT are only required for vehicles when they are 5 years old and 10 years old. Some vehicles require inspections every year. For renewing a registration you may need to book a roadworthy annually, or once the car turns 5 years of age and 10 years of age. A Roadworthy Inspection can be performed by the MVR test shed or an authorised inspector. For more information, visit nt.gov.au. Why do I need a Roadworthy Inspection? Depending on what state or territory you’re in, Roadworthy Inspections can be required if you’re selling, registering or renewing a vehicle registration. This shows that a vehicle meets the minimum safety requirements. A set of minimum standards have been developed by The Australian Design Rules (ADR). This gives the Australian Government power of vehicles before they are supplied to a market. Once a vehicle has been supplied, it’s the state and territory governments responsibility to regulate all vehicles in use. This includes Servicing, registration, licensing, roadworthiness and operational requirements. How is the Roadworthy Inspection carried out? It’s important to remember a roadworthy inspection is not a comprehensive mechanical inspection. If you’ve read this far, you obviously care about your car. A lot. So, if you need a service, repair or roadworthy inspection, visit AutoGuru.com.au. We let you search and book from over 1,600 qualified mechanics, who eat car troubles for breakfast.